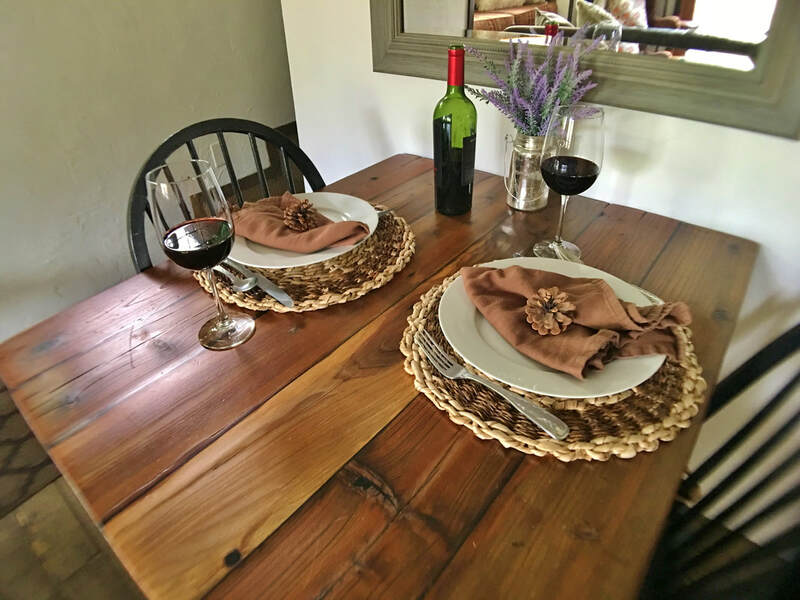 The Sequoia River Cabin is nestled in the Sierra Nevada foothills, located in the quaint and friendly village of Three Rivers, gateway to Sequoia and Kings Canyon National Parks. 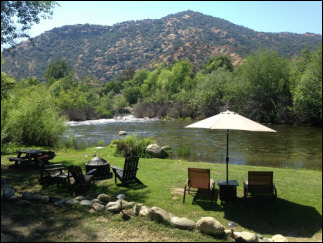 It is located on the Main Fork of the Kaweah River, a great river for whitewater rafting or kayaking. We are just minutes to the Ash Mountain entrance of Sequoia National Park. This historic cabin was originally built as a fishing retreat decades ago and has evolved a number of times since then. In the '70s it was Little Rainbow, the workshop of our local silversmith. After that it became a private residence, and later a trendy coffee house named The Cabin. The Cabin later became The Buckaroo, also a coffee house/burger joint. The "Buckaroo" iron horse and cowboy still rest on the front porch. 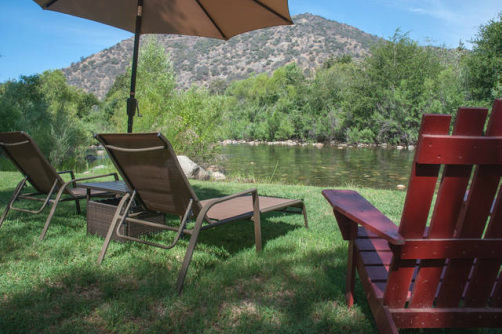 The rustic old building has now been renovated and is again a Kaweah River retreat. The old charm remains, but indoors you will enjoy the bright, comfortable interior and the spectacular view through the French doors. 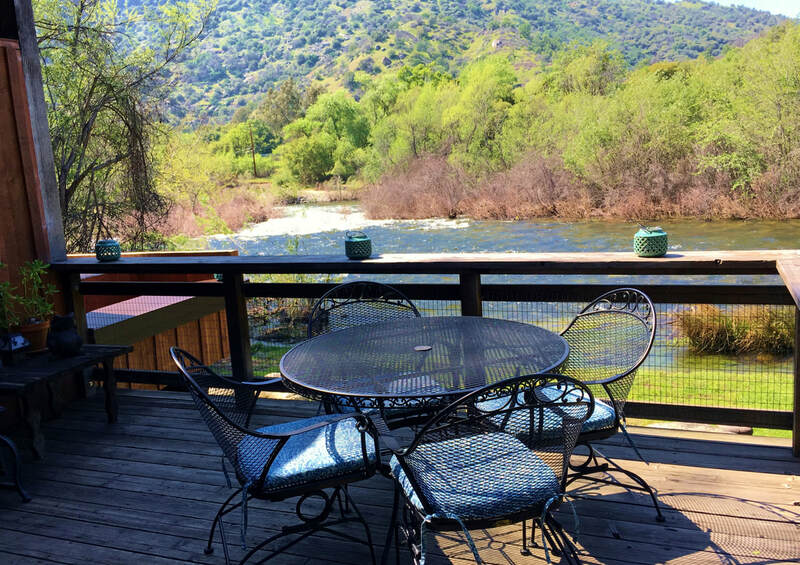 The Main Fork of the Kaweah River runs just beyond the back deck and is beautiful any season of the year. For more information, please call Richard 310.293.8605 or Jeanie 310.308.5633 or email us at sequoiarivercabin@gmail.com.